Experience the culture and traditions of authentic indigenous art. 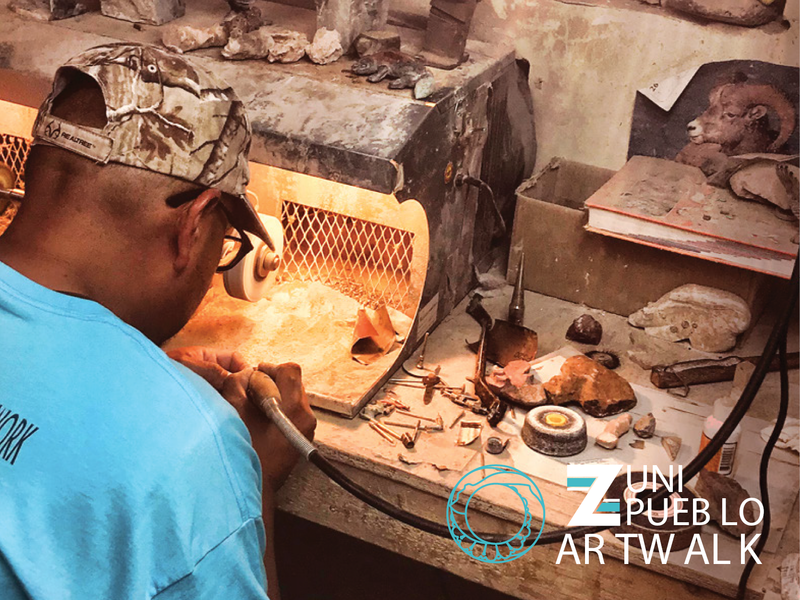 Take a walk inside the workshop of a Zuni Artist at the Zuni Pueblo ArtWalk. Zuni Pueblo Artists open their workshops and home studios for visitors to explore, learn, and purchase directly from where the artwork is created. Artist workshops are open whenever the artist is at work. On a regular day, visitors are should contact the Zuni Visitor Center to see who is available. Throughout the year ArtWalk promotional events are held when all artist workshops are open. Please signup for our newsletter and follow us on social to stay up to date with event dates!